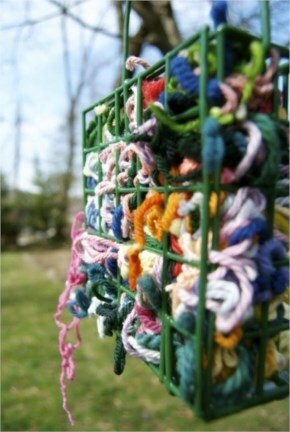 Place scraps of yarn in a suet feeder and birds will use them to make their nests. 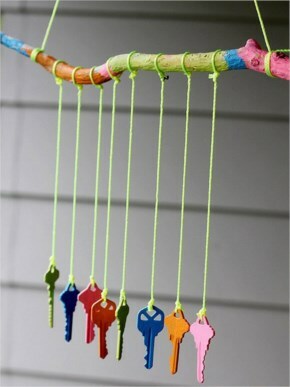 Make a wind chime out of old keys and acrylic paint. 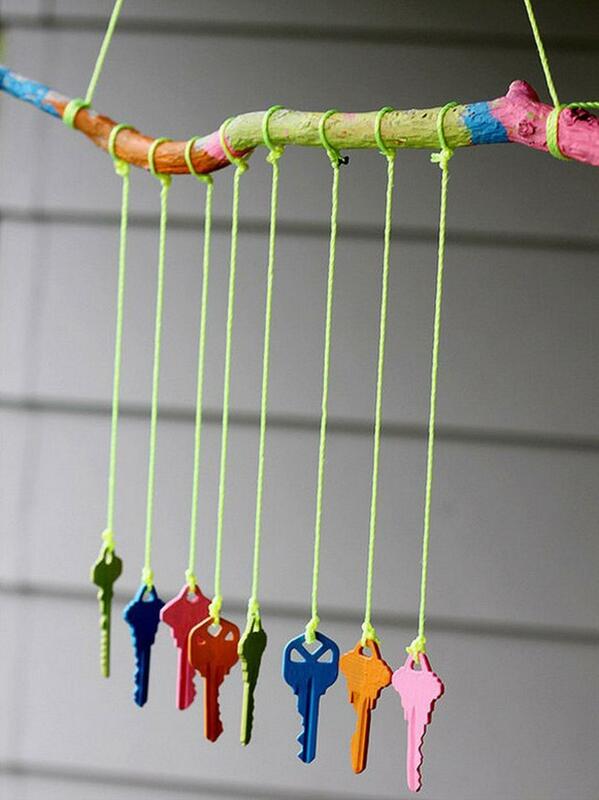 Tie rope between trees to create a fun obstacle course for the kids.